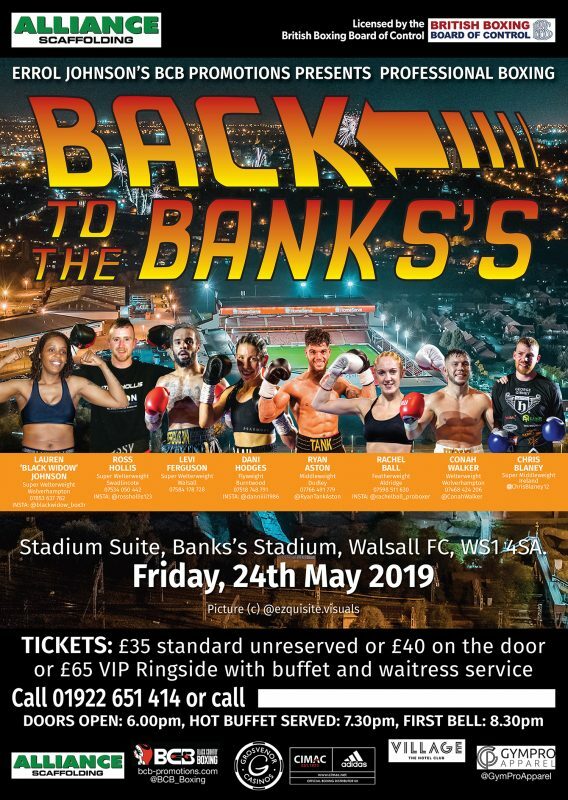 s host an eight-fight card in the Stadium Suite on Friday, 24th May 2019, sponsored by Alliance Scaffolding. Burntwood’s Hodges, another former kickboxer, has downed four opponents on points since becoming a British Boxing Board of Control licence holder last year. ‘The Pocket Rocket,’ aged 32, is one of the few lady flyweights in the UK and is coming off arguably her best win to date – an away day victory against previously unbeaten prospect, Lauren Parker, in Bedford last month.